The major threat of climatic changes hangs like the sword of Damocles over the heads of many endangered species - and the rest of us. The cause of their extinction, past and present is still not clear. A limited tolerance to high temperatures is NOT related, so far to the local extinction of any organism. Rainfall, food supplies and timing (with a host plant or animal) are affecting certain species instead. With human-mediated global warming, we have to attempt, at least to mitigate the consequences of our pollution. The interactions of many endangered animals and plants are affected, with some extinctions being simply because of the loss of a prey species. Many other food chains and webs along with various other ecological effects are involved as well. Conservation needs help from present findings and the future study of physiological tolerance of higher temperatures. Heat avoidance behaviour has many negative impacts; host species of many kinds are rather like prey in the effect of their loss; pathogenic and competing organisms also find some positive encouragement in rising temperatures. Many contractions in a species' range have taken place because of warming at a low altitude or a low latitude (eg. polar or alpine species). The abiotic factors include temperature itself, where it affects sessile species and others such as spiny lizards (Sceloporus) that have their breeding season curtailed because they can't tolerate the newly high temperature in spring. Rainfall affects terrestrials and those who spend at least one stage of their lives in water. In Yellowstone, perhaps the most famous national park of them all, four amphibian are on the verge of disappearing because their ponds have dried up. Nearby the desert bighorn sheep has been decimated because the food plants have dried up. The oxygen concentration in water decreases as global warming affects all our oceans, but the Baltic Sea is particularly affected, with the loss of the eelpout (Zoarces viviparus). Perhaps the most famous examples of all are the corals, bleached by high surface temperatures. The Panamanian and Ecuadorian coast have been affected badly, but this if a worldwide effect. Coral fish, of which there are thousands of species and many dependant larvae, have been made homeless. The Gobiodon sp. of Papua New Guinea is perhaps a good example, having coral as an obligate host. Some African freshwater fish have equal problems, as with many species living in mountains, where streams now receive no rainfall. The biotic factors involved here are innumerable, as the ecological situations made clear at the beginning. Harmful species that are encouraged by warming could include introduced species. The whole alien species problem could be just about to get worse, as these organisms are not so adapted to the local climate and can change their habits more easily. 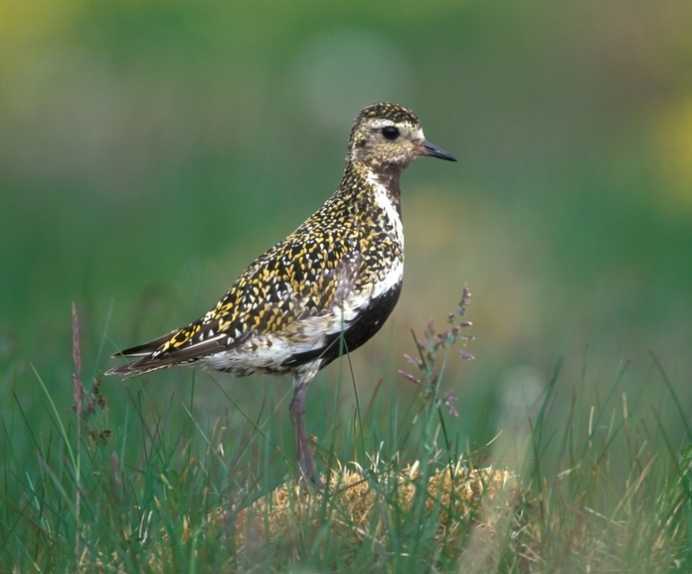 The little-seen flatworm, Crenobia alpina, has lost its prey species in Wales, as temperatures in the hills increased, while nearby the golden plover has lost its crane-fly prey with the high summer temperatures. It's thought that the dangerous Chytrid fungal infection of Atelopus frogs in Central America has been able to spread recently because of rising temperatures. The fig tree relatives that have been lost in Borneo have also caused local extinction of their pollinating fig-wasps. Abigail E. Cahill, of Stony Brook University, NYC. in the US and her many colleagues worldwide, who produced this paper, How does climate change cause extinction? - in the Proceedings of the Royal Society B: Biological Sciences, mean to imply that we have to study closely how ecology interacts with environment in order to understand how this particular future unfolds. When it comes down to it, those collapsing glaciers, moving currents and rising sea-levels create so many factors for the equation that is the earth, it is likely we will be too late for the funerals of these unfortunate casualties.